Atlanta thespians, celebrities and TV/Film industry notables attended the debut of Trey Anthony’s ‘da Kink in My Hair’ at the Cobb Energy Performing Arts Center. Starring two-time Grammy Award-winning R&B artist Melanie Fiona, Actress Terri J. Vaughn and R&B Diva’s Angie Stone, the 4-time NAACP Award winning stage play proved to be a production of diverse content, touching audience members of all races, ages, gender and more. Audience members took a step into the Caribbean hair salon and the minds of eight different women of all backgrounds; experiencing a variety of stories facing various trials, tribulations and triumphs. 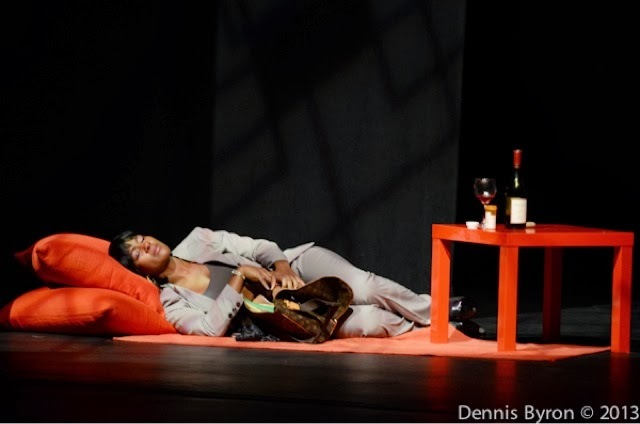 Discussing topics such as race relations, the successful overworked business woman, a mother who lost her child to violence, molestation, sexual orientation and more – ‘da Kink in My Hair’ stage play took audience members on an emotional roller coaster of laughter, tears, anger and absolute joy. Immediately following the play, privy guests attended the private VIP reception at Tailfeathers Piano Bar Lounge hosted by ‘da Kink in My Hair’ full cast including Melanie, Angie and Terri J. Vaughn. Notable guests in attendance included: Kandi Burress, Towanda Braxton, Casting Director Reuben Cannon, Luchia Ashe of Tyler Perry Studios, Que Parker of 112, R&B Divas Nicci Gilbert, Celebrity Stylist Derek J, Carol Blackmon with Radio One’s Majic 107.5, news anchor JaQuitta Williams, Demetria McKinney, Dennis Byron, Toni Acey, Roger Bobb, president and CEO of BobbCat Films, V-103’s Kendra G., Ebony Steele of Rickey Smiley Morning Show and Dish Nation, Egypt Sherrod of V-103’s Midday Show and HGTV’s Property Virgins, Kimberly Lacy of HGTV’s Curb Appeal, Dice Dixon of La La’s Full Court and more.